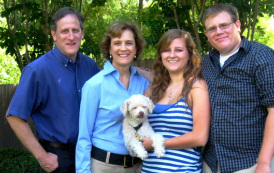 Brio Leadership is a small, family-owned business in the Dallas/Forth Worth, Texas area. Our purpose is to ensure your employees love to come to work on Monday mornings. We do that by helping you build a strong and positive company culture. We are led by strong values that guide and shape our actions. And, we are dedicated to helping other Texans grow their companies, leave a legacy and make Texas a better place to live and work. Brio Leadership is recognized as a Texas Historically Underutilized Business (HUB) by the Texas Comptroller of Public Accounts. Call us today at 817-577-7030 to learn more about how Brio Leadership can help you build a thriving, values-based organizational culture! To ensure your employees love to come to work on Monday mornings. ​ Supporting behaviors: • We would rather sacrifice personal gain than hurt others. • Relating with understanding to other team members. • Reaching out to customers and team members to stay connected. • Offering valuable and thoughtful resources to clients and prospects. • Patience & understanding about deadlines, reminding each other of deadlines. Doing what we say we will do, being scrupulously honest, because everything matters. Supporting behaviors: • Refunding an overpayment from a client. • Checking the ethics of each other's actions. • Ensuring the quality of our work. We respect the many parts of the team that make the whole and work together to have a fun, supportive and productive atmosphere. Supporting behaviors: • We make time to have fun together. • We work hard and celebrate achievements. Our work is the best we can do. Our creativity comes through. Supporting behaviors: • We provide high quality services and beautiful content to our clients. • We ensure the high quality of our work. • We check each other's work and we always look for new opportunities for improvement. We wish to leave a legacy, and to do work that is impactful. Supporting behaviors: • We create new things: organizations, books. • We ensure people are happy to go to work on Monday morning. • We impact both the people and the financial results of our client's companies.